Islanda Eco Village Resort Krabi, Hotel Thailand. Limited Time Offer! Islanda Eco Village Resort. "Islanda Eco Village Resort" has acquired 4 stars. It is an excellent base point for exploring Krabi town. Thanks to the air conditioning, it is never too hot in the bedrooms. Feel free to take a dip in the outdoor pool. In this accommodation, visitors can find a spa, an ideal place to unwind from your busy day. You have the opportunity to indulge yourself with a massage treatment. Dinner can be enjoyed at the onsite restaurant which is known for its international and Thai specialties. For those who absolutely need to keep an eye on their email, there is Internet access available at no extra charge. Islanda Eco Village Resort. "Islanda Eco Village Resort" has acquired 4 stars. 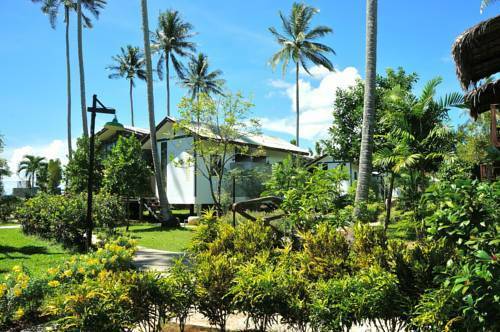 The accommodation is located in Krabi. The hotel runs a shuttle bus to help you get around in the neighbourhood. This hotel consists of 29 bedrooms in total. Thanks to the relieving air conditioning, it is never too hot inside. For a little walk in the morning, the garden and patio are excellent. Both children and adults can enjoy the outdoor swimming pool. Guests are offered recreational activities, such as Eco Tours and birdwatching. For visitors who like getting in some sports practice, the accommodation also offers numerous possibilities, like pool, kayaking and volleyball. Furthermore, there is a pool table and a gymnasium as well as a bike rental service. There is an onsite spa available, a pleasure for body and mind. The hotel offers relaxing massage treatments. No need to leave the residence for dinner as there is an onsite restaurant. For a drink in the evening, feel free to visit the lounge bar. Of course, access to the Internet is available free of charge.